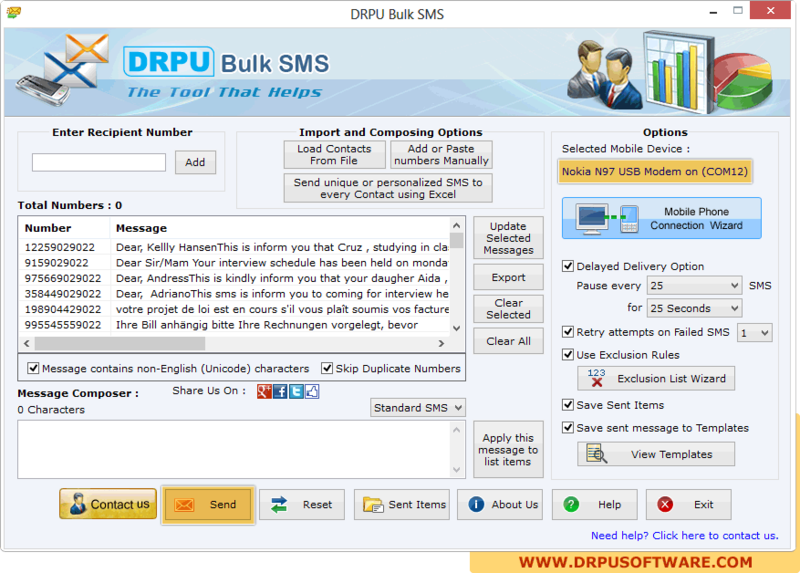 Load contacts from “Load Contact from File” option. 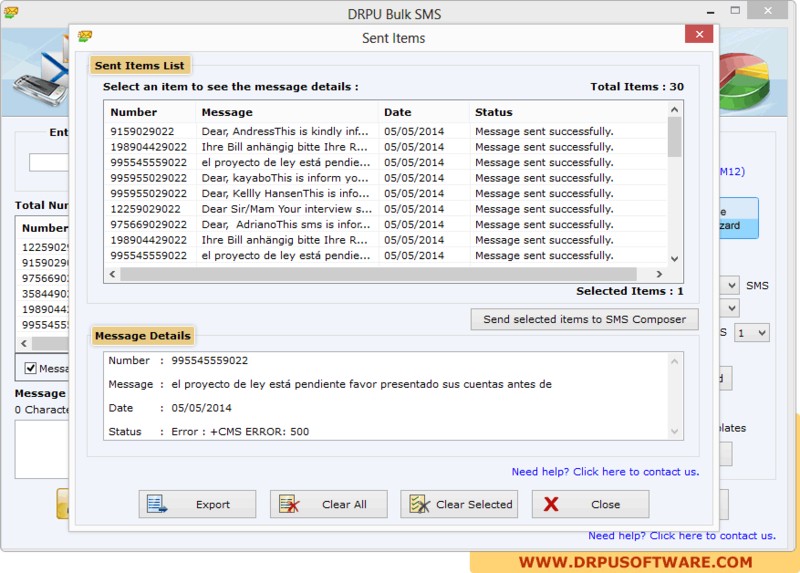 Click on “Send” button to send messages. 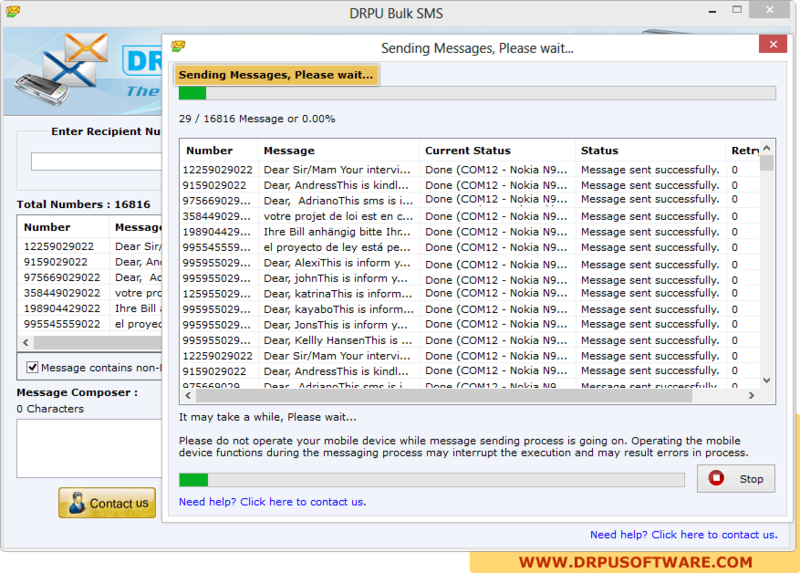 Screenshots shows message sending process. Above Screenshots displays sent items, select particular item to view its details.